As an English Language Arts teacher, I love to teach poetry. However, just like everyone else in education right now, I feel like I need to examine what I am doing to help my students prepare for the rapidly evolving tech world, while balancing the social and emotional needs that I know drive them. This spring I’m going to be launching a project that will marry the mind and spirit of my middle schoolers. Here are the three sections of the project plan. I actually haven’t done a traditional poetry unit in years, as the demands of Common Core assessments crept into my planning, necessitating some shifts; however, as other areas of my curriculum have become stronger in meeting standards, I’m ready to take on aligning a poetry unit. It isn’t that I don’t see the obvious ways to make a poetry unit align. Rather, because I run a project based classroom, I refuse to do surface teaching and spit shine a few literary terms to plop into assessment writing. If I’m teaching a poetry unit, they are doing a poetry unit. There are so many resources to teach poetry–the difficult part is going to be actually narrowing down what I use to facilitate student learning. For example, I’m already in love with the idea of “Poem In Your Pocket Day,” when poetry lovers carry a poem in their pocket to share with the people they encounter throughout their day, tweeting about it using #pocketpoem. This year, April 24 is Poem in Your Pocket Day, giving my students plenty of time to mobilize a “street team” to distribute mini-poems to students throughout the day, as well as create “media teams” to document the work and post to social media. We’ll also have a “poster crew” and “advertising team” to get the word out ahead of time. We have an elementary school within walking distance, so I’d love to take a mini-field trip over to distribute poems to the fifth graders, creating an amazing memory for my students and exciting the fifth-grade students’ imagination about what crazy cool things happen in our middle school. I’ll also have bloggers who reflect on the experience, as well as a debrief team to analyze what we can do better the following year. I’m already thinking of ways to bring the local media into the process. I’m still fleshing out this idea, but I know that I want students to experience the power of the written word, particularly poetry. How can we use poetry to combat the image of Millennials as disconnected and isolated? When I told my middle school aged daughter about this idea, the first question she had surprised me. “Are you using the student’s poems or famous ones?” I hadn’t really considered that part yet, but it did get me thinking about the social emotional aspect of the unit. Her question speaks to the spirit of students in a way that I must continually remind myself to acknowledge. First, there will be students who look at this as the greatest opportunity in the world to share their raw and paradoxically complexly simple emotions. There will be another group who will not want to bare their soul in any way–either for fear that what they have to share isn’t acceptable or normal teenage self-consciousness. There will be a third group, which I believe will comprise most of the students, who will not know what to do with this opportunity. This third group will be most easily influenced by the reactions of their peers, and the way I introduce this project will greatly impact their reactions. I’m still thinking about this, but I like the idea of Blackout Poetry, which is sort of a new incarnation of “found poetry,” allowing them to use others’ words to express themselves first. Each of these groups must feel validated and also be able to participate; additionally, it is going to be my most important job to stand in the gap between these groups to make sure that they are all safe to be themselves, as well as respect each other. This is the least complicated part of the project. Students will lead the way in how we use social media to promote the event, as well as how we disseminate the experience locally and globally. As for the “schoolish” part of this, we are using Google Classroom, which is where I’ll organize sign up sheets, assignments, and student responses. I’ve also been successful lately by allowing the first five minutes, usually reserved for what I call the “Do Now” activity, as a time to chat with each other over a particular topic. I’m then able to metaphorically take the temperature of the group about the topic before I begin, essentially using it as a formative assessment of students’ social and emotional responses to topics. This project is going to require an acute understanding of the general “mood meter” on my part each day. Am I a little worried by this ambitious project? You bet. But, if I wasn’t, I wouldn’t be doing my part to facilitate awesome experiences for my students. Over the last few years, I’ve developed a philosophy of a “Flexible Classroom,” where not only is the seating often changeable, but the academic, social and emotional needs of my students are met in ways that are far from rigid, but instead receptive and bending. 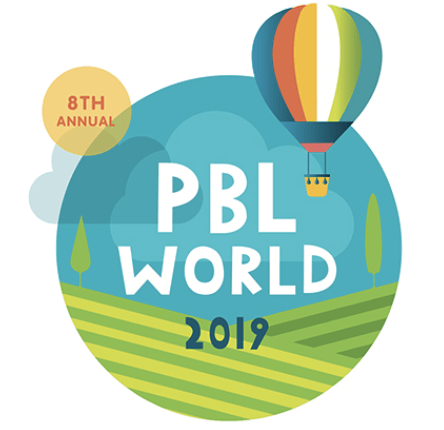 The realization that has happened during this process is that the marriage of mind and spirit via PBL and SEL is the best way for me to meet the needs of my students.